A pilgrimage to Lourdes represents one of the most significant moments in the spiritual life of the Order’s members and volunteers, and each year Lourdes dedicates the first weekend in May for the Annual Pilgrimage of the International Order of Malta. 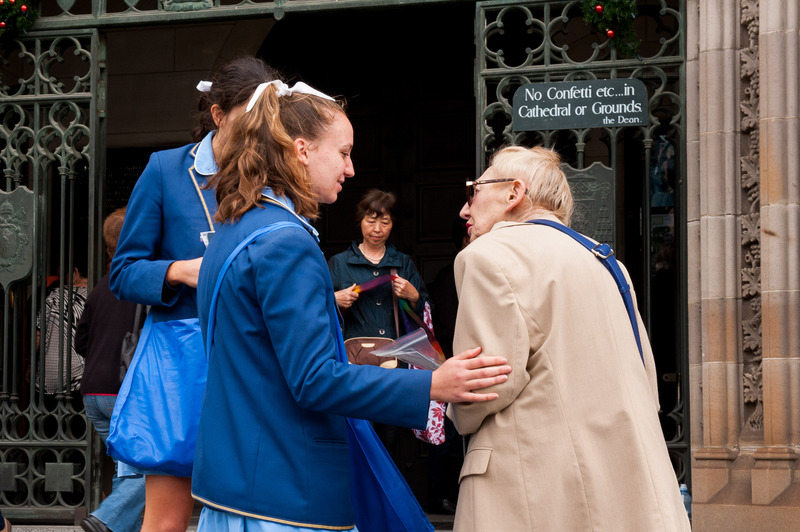 For Australians unable to visit Lourdes, Lourdes Day Mass celebrations are held annually in Melbourne, Sydney, Brisbane and Adelaide where those attending receive a blessing for good health and a bottle of Lourdes water for their personal use. Many sick, elderly and frail attend these special masses and the Order welcomes volunteers wishing to assist on the day. Masses are celebrated at the following locations:. If you would like to assist, please complete our Volunteer Information Form and the event organisers will be in touch.